The task of moving files in SharePoint from one SharePoint version is now perform easily with our brilliantly developed multifarious solution named as SharePoint Organiser. Our versatile tool enables its user to move SharePoint data to another, Office 365 to SharePoint and Office 365 to Office 365. The software provides an accomplished solution to the users to manage on-premises SharePoint and online SharePoint sites, wikis, libraries etc with excellent mapping options available. The simplified interface of the tool helps users to quickly attain precise conversion results of moving files in SharePoint for existing version. With effective mapping option you can save the source and destination path as well as other credentials details. 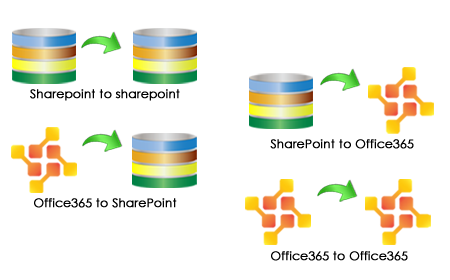 It helps to perform quick migration of data from the source to target location. Technicaly the Graphical User Interface of this tool is well advance and easy to handle by which you can perform migrating process within a fraction of time. You just need take step forward to migrate the documents of sharepoints. When the migration starts, it shows migration reports which show the following task: Mailboxes that are pending for migration,pending mailboxes, and completely migrated mailbox. You can copy source for SharePoint items like wikis, libraries etc along with their permissions and then paste them at the destination location with hierarchy maintained. It also allow to perform migration in limitless amount. Installing a software in your OS always leads to the question of compatibility but this tool supports all the version of Windows OS (2000/XP/2003/Vista/Windows 7 and Windows 8, Windows 8.1). 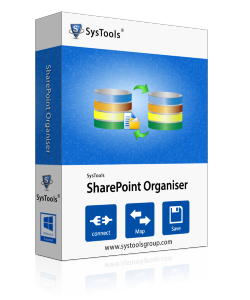 Demo version of this software Migrates only 50 items in SharePoint to SharePoint Migrations. Demo Version - If you want to achive fullfilment then immediately try its demo version and perform the migration task easily. Experience the product by seeing it live for more benefits. Full Version - If you are thinking that this product is worth for you then go for the full version by paying a very low amount. Don't think much just have the product and do your work in efficient manner. What Situations Call For Solution Like Our SharePoint Organiser? When you want to move data from one SharePoint edition to another. When move local SharePoint to Online to On-Premises SharePoint is required. When Conversion of Office365 to its another edition is the demand. When On-premises moving Online SharePoint to Office 365 is to be executed. "The organization I work at was struggling for quite some time in making data switches from Office 365 to SharePoint or other way around to fulfill client needs. Somehow I came across this tool and got the procedure done with the help of support department!"